Alex is on the brink of a £4m move to Paris Saint-Germain after snubbing QPR to link up with former manager Carlo Ancelotti. The defender has been frozen out at Chelsea since handing in a transfer request at the start of December and has been strongly linked with a short hop across to Loftus Road. 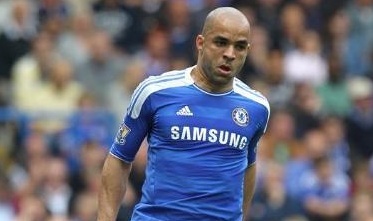 But the Brazilian, who also had offers from Santos and Juventus, wants to play under former Blues boss Ancelotti again. The Alex deal is a further setback for QPR manager Mark Hughes. The new Loftus Road chief was left disappointed when the Home Office turned down a work permit for Alex's fellow Brazilian Henrique. Ancelotti is in charge of PSG and Alex was a favourite of the Italian during his time at Stamford Bridge.